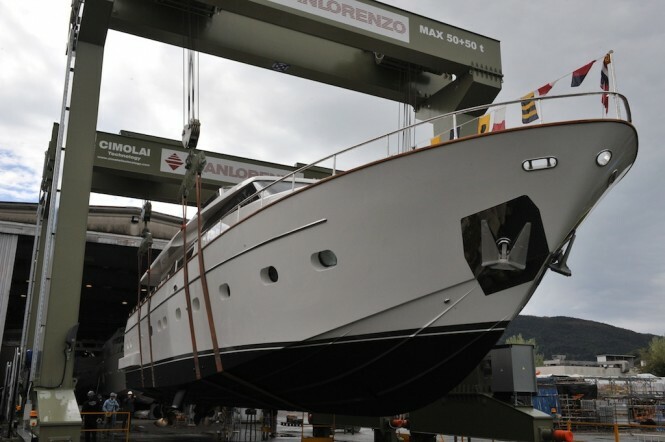 With the summer season in the popular Mediterranean charter destinations nearing, Sanlorenzo has announced three launches commissioned by the owners for the 2013 season. In just one week, the prestigious Italian shipyard launched three luxury superyachts in a row: the 24m SL82 Motor Yacht Pioppi (in Ameglia), the 29m SL94 motor yacht B2 (also in Ameglia) and the 40m super yacht LILIYA 40 Alloy (launched in Viareggio). Below you will find more information about Pioppi yacht and you can find out more about Superyacht B2 launch here and Superyacht Liliya launch here. Sanlorenzo SL82 “Pioppi” yacht measures 23,95m length and is characterised by smooth, elegant and absolutely classic exterior lines – in the perfect Sanlorenzo tradition – that guarantee a long-lasting value to the yacht. The Italian owner of Pioppi personally chose the décor by selecting as main wood for the interior and the floorings the precious flamed Canaletto walnut, while all the furniture are upholstered by varnished Blanc Cassé; for the marbles in the bathrooms, he selected Silk Georgette and Tabacco Brown; exclusive fabrics by Dominique Kieffer, Minotti and Maria Flora complete the elegant décor. The huge fly bridge wholly hosts beautiful teak stave furniture all over its length, thanks to the positioning of the tender on the lift aft-platform. 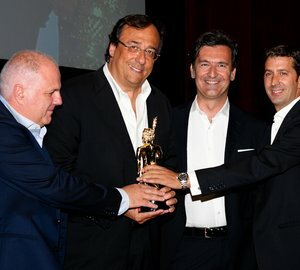 With over 50 years of strictly tailor-made tradition, Sanlorenzo permanently occupies the third position in the world ranking of the top superyacht builders over 24 metres (Global Order Book 2013). 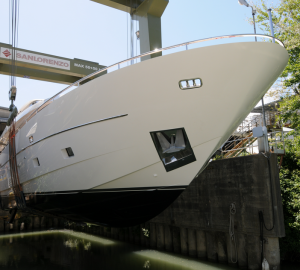 Please contact CharterWorld - the luxury yacht charter specialist - for more on superyacht news item "Sanlorenzo launch SL82 motor yacht Pioppi - one of three yachts launched this week".